NATA 2019 Application Form – The Application form for NATA is released by Council of Architecture (CoA) separately for the two tests to be conducted in April and July. Although the registration for the 1st exam has now come to an end candidates can apply for the 2nd exam till June 12, 2019. Also, candidates can start to make the correction in their 1st exam application form as the application form correction window shall remain open from March 12 to 15, 2019. Candidates will not be charged for correction in the form. Check details about NATA 2019 Application Form from this page. Latest: NATA 2019 Application Form for 1st examination has ended, Apply for NATA 2nd examination from below. This year NATA has decided to conduct NATA 2019 twice a year. It is going to be conducted in the month of April as well as in the month of July. Candidates can apply for both the tests or either one of them as per their choice. Candidates can check the schedule given below to know about the important dates and events related to the NATA 2019 Application Form. Apply Online: Click Here to apply for NATA 2019. The application form correction window for the 1st exam of NATA 2019 is now available. Candidates who have already registered can visit the official website and click on the form correction link. 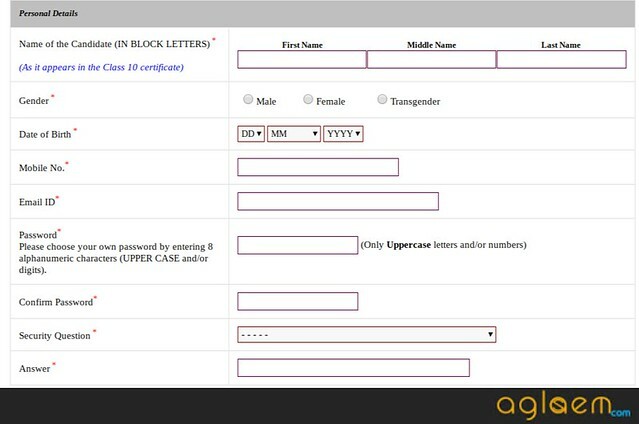 Details like any wrong documents or Photograph in the application form, wrong spelling of his/her or parents name, wrong Aadhaar details or any personal details, Entered wrong class 11 and 12 roll number or marks can be edited n the application form. Further, the authority will not charge any fee for the form correction. The last date to correct application form for 1st exam NATA 2019 is March 15, 2019. Candidates have to pay the requisite fee given below to apply for the NATA 2019. Mode of Payment: Candidates are required to pay the Application Fee using the electronic payment gateways such as Debit Card / Credit Card / Net Banking. Step 1: Register- As a first step, visit the official website and click on the link flashing as “Registration Form”. After this, candidates are going to be redirected to the page where they can register if they are New Users. Step 2: Click on the link flashing as “New Registration” at the bottom right corner of the page. Candidates are required to fill the Personal details such as their name, mobile number, date of Birth, e-mail id and select a password. 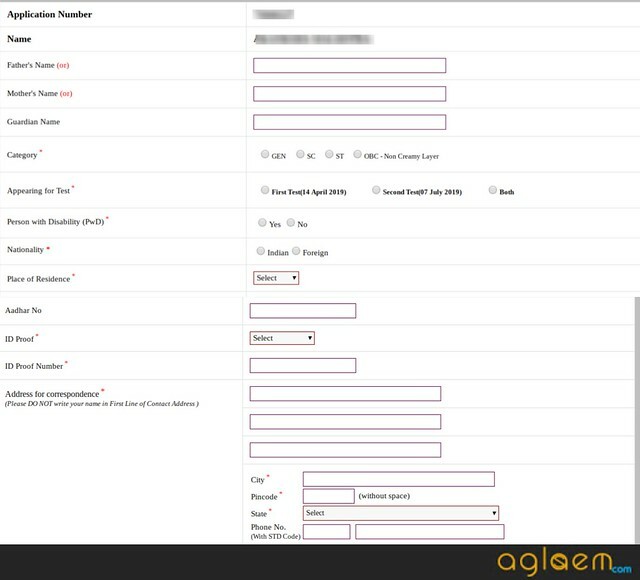 Also, candidates are required to select a security question and answer it after filling all the personal details. Before submitting the details, it will ask you to edit or continue the process. Make sure you enter all the correct data while filling the Application Form as data once confirmed and submitted, it cannot be changed. An application number and password will be sent to your registered e-mail id as well as on your registered mobile number. The application number and password will work as login credentials. Then, candidates are required to fill their personal details again such as name, parent’s name, category, nationality, aadhar number etc. Candidates can opt for the first or second examination or both as per their choice. However, appearing in the second test is not mandatory for the applicants of the first test. On the other hand, candidates who want to appear in either of the tests can exercise their option by filling the application form appropriately. Step 6: Select the Examination Centres: After entering the details, candidates are required to select the examination cities and have to give 3 choices of the examination centre. Candidates are required to enter their Academic Qualification Details such as the details about their class 10th or equivalent, pass status, board, year of passing, obtained marks, roll number, institute name and address, educational details about class 12th. Candidates need to upload the images as per the prescribed format. Candidates need to upload a recent size coloured photograph and the image of their signature. After entering the educational qualification details, candidates are required to provide their communication details such as their address, email id, mobile number, state and district of domicile etc. After filling all the details and uploading the images in the NATA 2019 Application Form, candidates are required to pay the Application Fee. Candidates can pay the fee using through the Electronic Payment Gateway such as Debit Card / Credit Card / Net Banking. After the successful payment of the Application Fee candidates will get the Confirmation that their payment has been done. Candidates can take a printout of the confirmation page. Candidates must note that the images should be in JPEG / JPG format only. 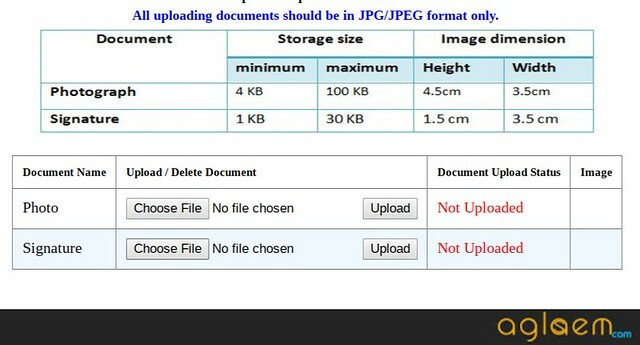 The requisite format for uploading the scanned images of Photograph, documents, and signature is mentioned below. Class 10th Marksheet Candidates are required to enter the details as specified in 10th Marksheet such as their marks, percentage etc. Contact Number Enter the valid and active contact number as some information will be conveyed on that registered mobile number only. How to retrieve forgotten Application Number and Password? Candidates are required to first click on the link mentioned as “Forgot Application Number / Password” which will be flashing when they will open the Registration Page. After that, candidates are required to enter some details like their name, date of birth, mobile number, e-mail id, security question and answer. After entering all these details, candidates can click on the button “find” and get back their Application Number and Password. Important Information: It is to be kept in mind that the system is not going to allow to submit a duplicate form by any candidate with the same name, father name, mother name and date of birth. Mention all the personal information, address and date of birth correctly. Opt for examination centres wisely. Upload the coloured photograph and as per the prescribed size only. Do not give the application number, security question and password to anyone. Do not wrong e-mail and contact number in the Application Form. Do not upload the image of the photograph and signature of the poor quality. The aspirants should have passed the 10+2 scheme of examination with Physics, Chemistry, and Mathematics. Candidates must have obtained minimum 50% marks in Physics, Chemistry, and Mathematics individually and also 50% marks in aggregate at 10+2 level examination. The Admit Card for NATA 2019 is going to be made available on the official website of the governing authority which is www.nata.in. Candidates can obtain their respective NATA 2019 Admit Card by entering their login credentials. It is to be noted that candidates need to carry NATA 2019 Admit Card positively to the examination centre as it is going to act as an entry ticket at the time of examination. Also, candidates need to carry a valid id proof along with the admit card such as Aadhar Card / Voter Id / PAN Card / Driving License. 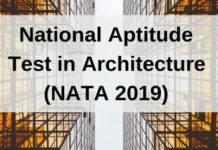 NATA is a national level entrance examination which grants admissions to students who want to pursue Architecture as their career and field of study. Council of Architecture (CoA) conducts NATA for admission into B.Arch courses every year. Until last year NATA used to take place annually but from this year, it is going to conducted twice a year. This year, it is going to be conducted in the month of April and then in the month of July. There are two parts in the examination which are Part A and Part B. Part A is to be conducted in the online mode and Part B has to be answered in the A4 size Drawing Sheets. Ques: Will the fee be refunded for any valid reason? Ans: No, the fee once paid cannot be adjusted or refunded at any later stage. Ques: Till what time the Registration for NATA 2019 is open? 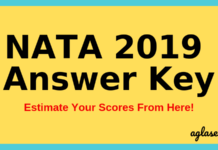 Ans: The last date for Registration for the First Test (April) is March 11, 2019 whereas for the Second Test (July) it is June 12, 2019. Ques: Can I change the Test Centre? Ans: No, the test centre cannot be changed at any point of time. The requests for it will not be entertained. Ques: What documents should I upload at the time of Registration? Ans: Recent size coloured photograph, Own signature Documents in jpg / jpeg format. 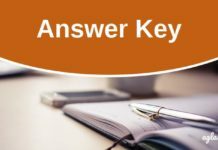 Ques: After the submission of Application Form, can I change my Personal Details? Ans: You can correct the information just once, such as errors in the spelling etc or any figured in the numerical data i.e. day, month or year etc. On the first place, it is advised to candidates to fill authentic and correct details in the application form. Ques: Do I have to send the copy of online filled in Application Form? Ans: No, it is not required. Ques: Can I select one city for the first test and another city for the 2nd test? Sir/madam, i had been attaineded 1st nata exam on 14 april2019, But i want attain 2 nd july nata enterance exam. How to fill up application form & when. because of No option available now to registered the form. 1st form fill up for 1st attempt only. Kindly help me out for fillup the 2nd attemt NATA july enterance exam or send me the link on follwing email address or Mobile No. Simply click on the apply link above and enter the required details.